Since the advent of the digital age, cold calling is out of vogue for many people. For most businesspeople, cold calling isn’t the easiest route although it’s a proven way of getting clients and customers. No matter what your industry is – whether it’s advertising or staffing services – cold calling has become the logical tool to use to generate clients or business customers. It gets easier and more fun with practice – using your value propositions. Once you get some results, it will actually create a domino effect because it’s very energizing. A little bit of footwork leads to some business, which leads to even more business. So it’s all about attitude – an attitude of gratitude and providing a valuable service for your prospects. And be sure you’re up-to-date with the CAN Spam Act. 1. Make certain all online references about you – social media, Web site and press releases – are professional. Once a prospect is interested in you, the person will search your name on the Internet. So do the footwork now. 2. Remember you’ll only get a brief moment to pique the person’s interest in a phone call. Develop a tantalizing phrase for your subject line, if you’re e-mailing. Know your elevator pitch before you start the sales process – benefits that differentiate you. Your initial goal is just to get face time to lay the foundation for a possible relationship. Don’t try to sell your products or services. Go for a single instead of a home run. 3. After you’ve identified the right prospects, also target centers of influence – people and organizations that can direct business your way. That means a business association, chamber of commerce or the news media using press releases. 4. The best time to make contact via e-mail or telephone is early in the morning. Before e-mailing, make sure you use a list of opt-in recipients or people who have signed up on your Web site. Include the standard opt-out option. In calling, if you get the person’s assistant or receptionist, indicate you’d like to call back. Try to learn the best time to try again. But try never to allow an employee to forward a message to the person for you. It gets easier and more fun with practice – using your value propositions. 5. Engage the prospect by setting up a dialogue by asking open-ended questions. The best salespeople listen 90 percent in such conversations. 6. Demonstrate that you care about the person and her/his business, and that you listen. Follow up with a handwritten thank you note – or an e-mail, if you must. Include a restatement of the prospect’s concerns, an appropriate value proposition with additional information, and a statement to prevent buyer’s remorse. 7. Unless you are able to schedule an appointment in the initial contact, allow five business days before you follow up. Remember your image — you want to earn the business, but you don’t “need” it. 8. Be patient and persevering. Only a small percentage of the contacts will turn into prospects or sales. It often takes five positive contacts before a person buys. Want More Revenue? Avoid the 7 Deadly Sins of Selling — Whether you are an established company or a startup, what you probably need most in this economic climate is a positive revenue stream. It’s possible with a higher-performing sales staff. So you might wish to consider the latest strategies of a globally known sales trainer, Roy Chitwood, who is based in Seattle. 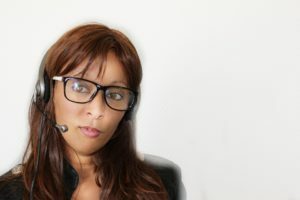 The Lost Art – How and Why to Use Cold-Calling for Higher Sales — Are you lacking in sales revenue? Do you get enough face time with the right prospects? If your referral sources — centers of influence — have dried up and your lead pipeline needs to be filled, the fastest way to more revenue is cold-calling. If you don’t take a chance, you won’t have one.